As you embark on your tidying journey, you will surely realize everything is tied back to your “Ideal Lifestyle.” In fact, you’ll realize that tidying is not just about creating an organized living space, but it’s about creating the perfect living space that makes you happy — that Sparks Joy for you. Many people consider Self Care as an important goal when they describe and envision their Ideal Lifestyle. Examples of Self Care can include regular massages, a good nights sleep, and any activities that help relieve stress for you. My personal favorite is aromatherapy featuring a Young Living Aria diffuser, essential oils, and scented candles. What forms of Self Care do you envision in your Ideal Lifestyle? Self Care has become a large part of my life since tidying up my home. The first thing I do every morning is open the windows to let the fresh air in, activate my essential oil diffuser (I love Purification or Thieves), and turn on some gentle morning music. I settle into my Place of Joy in the corner of my living room for a short meditation, building on the rest from the night before. These simple practices of my morning ritual help me set my intention for the day and help make each day a positive one. Many of the Self-Care items you choose to surround yourself with are featured in the Komono Category of the KonMari Method™. 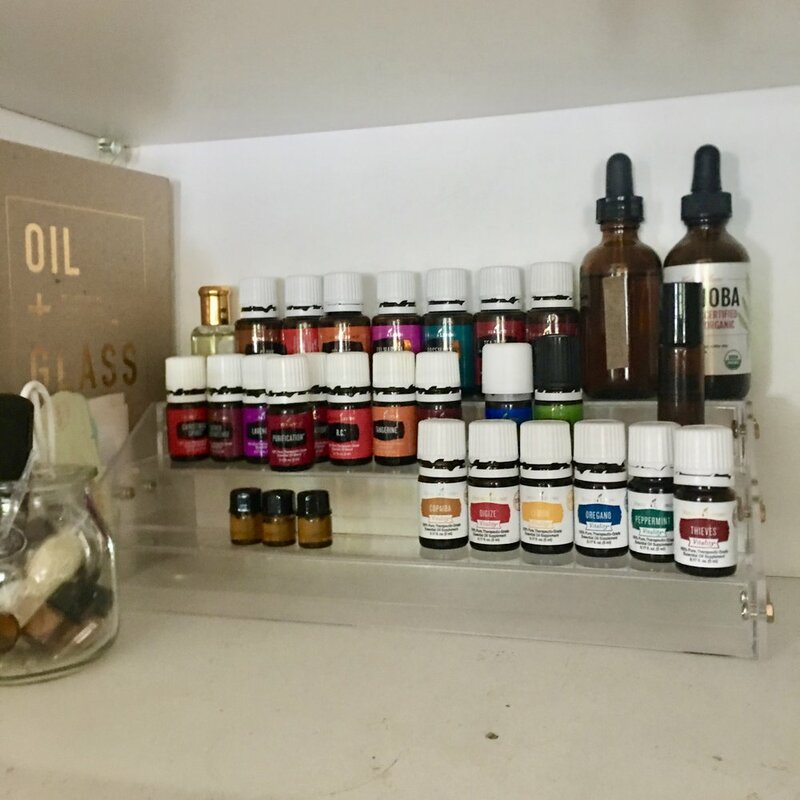 Essential Oils: Keep them handy and organized, I like the Young Living line and keep my Vitality Oils separate from the Diffusing Oils, both in alphabetical order. Candles: I have always had a drawer of candles but found that many had been stored for so many years that they no longer sparked joy...take a few moments to gather your candles together, joy check and store them all together once again. Taking the time to gather them together helps to remind you that these amazing tools of light and ambiance are meant to be lit and enjoyed. Exercise equipment: Keeping all of these types of items together makes the most sense so that you can take care of your heart and not have to search for where you put your yoga mat, free weights or your stretching bands etc. Gather all of these like items together and honestly consider what items are being used and bring you joy. My morning ritual is unique to me, as your Self Care practices should be. I hope that you create a Self-Care ritual of your own, something that Sparks Joy and helps you to find a place of peacefulness in your home! To learn more about aromatherapy and essential oils, contact my friend and Oil Guru, Tara Townsend for a consultation on the perfect essential oils for you. Visit: https://www.theessentialcollective.com/tara.